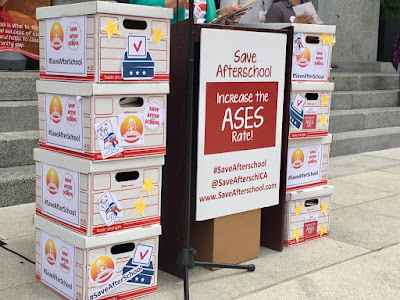 In our earlier blog posts, we have been tracking efforts to preserve afterschool funding at the state and federal level. Below is an update courtesy of efforts by our colleagues at the Partnership for Children and Youth (PCY), New York State Network for Youth Success, the Afterschool Alliance, and others. At the federal level, it is important that we work to preserve support for the 21st Century Community Learning Centers (21st CCLC) funding. You can get more information from the Afterschool Alliance. You can follow what is happening in your state by clicking here. You can also get more information about individual states by clicking here. For our California readers, advocates have been working to increase the amount of resources for programs. This increase is important given the increase in program costs, especially wages. You can help support this increased call for California afterschool by getting involved. For more information click here.